Not sure if this should be listed here or roostock. Anyway... Terry sent me some fruit with the below story attached. The fruit is the size of large Trifoliata fruit. Same look & texture. The thing is these fruit don't have the stink of standard Trifoliata. Too late to take photos, I will get some tomorrow, clean the seed and let you know what I find. I finally got up with the guy who has the Swamp Lemon. What a neat old guy. He reminded me of my grandfather. Here's what he told me so far. That he was 14 when he was hunting on the Livingston Creek in Delco, NC. He saw the swamp lemon and asked he's older hunting companion about it. His friend said that the Swamp Lemons had grown wild there on Livingston creek for as long as he could remember. This guy Charley said that as that was 60 years ago and adding his friend’s age would make it about 125 years that these lemons were growing wild there. I think the 60 years is reliable. I'm not as sure of his old friends extra 45years. So, this Swamp Lemon has been growing there for 60 to 125 years. He said that most people who live in that areas have these lemon trees growing in their yard by digging them up from this creek. But as far as I know the Swamp Lemon trees are only growing wild along the west side of Rte. 74 where it crosses the Livingston Creek. So I'm thinking that some one brought a fruit there from FL about 60 to 125 ears ago. 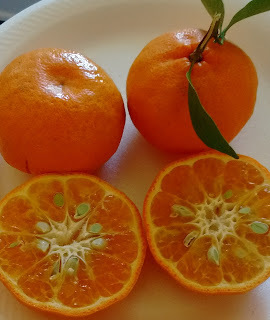 The trifoliate may have been cross-pollinated from an orange. But the fruit doesn’t look much different than trifoliate. I am surprised that in 60 to 125 years that all of the Cape Fear river isn't covered with Swamp Lemons because Livingston Creek flows into the Cape Fear River. The Lemon site is only about 30 miles from Wilmington. Maybe the brackish water helped. After a lot of effort I obtained some fruit and seedlings and some cuttings. Now here’s the thing. The fruits flesh has no trifoliate taste or smell. None at all. The peeling has a slight off smell and a gummy nature to it. It doesn’t taste good or bad it’s kind of bland. The taste is closer to an orange than a lemon but definitely citrus. 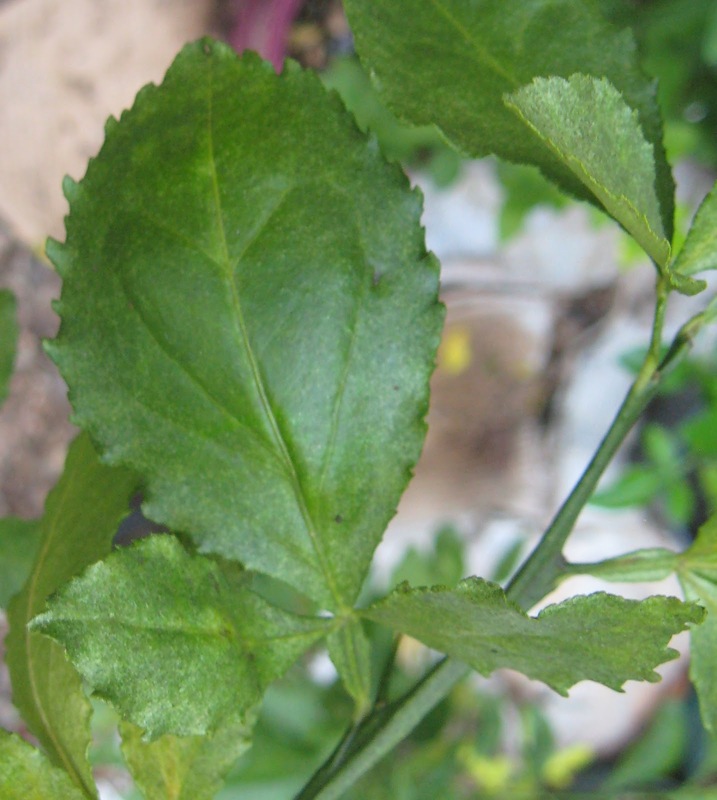 I don’t know if a regular Trifoliate has a lemon or orange taste. All I remember of the one I tried to taste was the terrible smell that was nauseating. But, unlike the usual trifoliate you can eat it. I was told that some have made lemonade with it. So, I tried it. On a scale of 1 to 10 I’d give it a 5. If you live in a zone 9 or 10 it wouldn’t impress you. If you live in a zone 6 or 7 and wanted to say you drank a Trifoliate lemonade it wasn’t bad. My question is,” If a Swamp Lemon used this to re-make some of the early trifoliate crosses do you think I would be ahead of the game taste wise? This doesn’t seem to be a soil generated taste difference. The Swamp Lemon that I got is at the least third generation from the original tree and is 10 to 15 miles from the original tree. The flesh seems more yellow than Poncirus and the juice has an agreeable sour taste. There were Poncirus oils in the skin though, and the fruit size (external appearance) was more similar to Poncirus than citrange. If you know of Hardy Citrus Boards or Blogs, send a link, thanks. English (US and International): archive of citrus forumup. It has a lot of information that cannot be found elsewhere. Thanks to Sylvain for all his work. Miniature plant almost 3 years old. 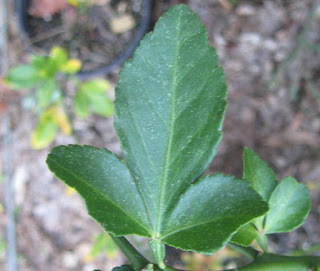 Diploid Poncirus top leaf, Tetraploid Poncirus bottom leaf. Lemandarin is a cross between Citrus tiawanica x (Keraji or Satsuma) It looks like a satsuma. Resistant to soil diseases that have killed my other seedlings. Vigorous. From the breeder: As far as hardiness my seedling Lemandarin never flinched in the cold weather until this past brutal weather. It survived at least to I think 11°F, -12°C degrees and a few 13°F and 14°F, -11 and -10°C events in the past. This winter it reached its max tolerable temp where it died at 5.5°F, -15°C on its own roots. 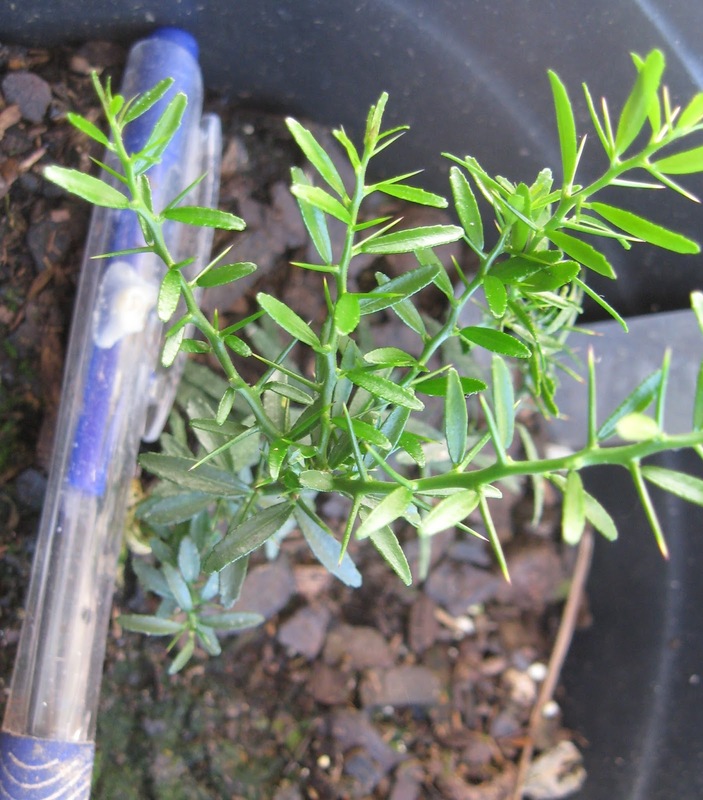 Less than a foot away I had a back up graft of it on flying dragon about 4 feet up that defoliated with branch die back but is growing back very well. I can attest to that at least when high grafted it can at least withstand about 6°F, -14°C. May come true from seed. Changsha is one of the hardiest of the mandarins. May have C. ichangensis in background. Survives short freezes of 13°F, -11°C F with no loss of leaves, reports it survives 6°F, -14°C  p. 28 and also dying at that same temperature  . Generally considered hardy to 10°F, -12°C  p. 14. It is very seedy and the flavor is bland, low acid. Honey Changsha is a selection with better flavor, at least some seedlings are zygotic. It has about 25 seeds per fruit. In 2003 Dr. Wayne Hanna at the University of Georgia Tifton Campus started working on a seedless Changsha. He exposed seed to gamma radiation to induce sterility. Dr. Hanna and his fruit. Dr. Hanna at the 2013 Citrus Expo in Alabama said it was still a couple of years away from introduction. but only for sale in Georgia. ‘Sweet Frost’ is an irradiated Changsha mandarin with two to three seeds per fruit. It has a Brix range of 11-12, it is very easy peel, well-colored, and matures (in GA) in November or December. ‘Grand Frost’ is an irradiated Ichang lemon. This is a large lemon (25 centimeters to 28 cm in circumference) with about 8 Brix and high juice content. It has nice, bright-yellow color and a maturity range of November through January. ‘Pink Frost’ is a red grapefruit, with characteristics not dissimilar to ‘Ruby Red,’ but with somewhat deeper color. It averages 30 cm to 35 cm in circumference, has Brix 8-11, and matures (in GA) November through March. It averages three seeds per fruit. This variety was identified in Georgia. It was a high seed fruit, with approximately 60 seeds before being irradiated. Citrus (Eremocitrus) glauca x ? There is a lot of confusion as to the origin of this variety. 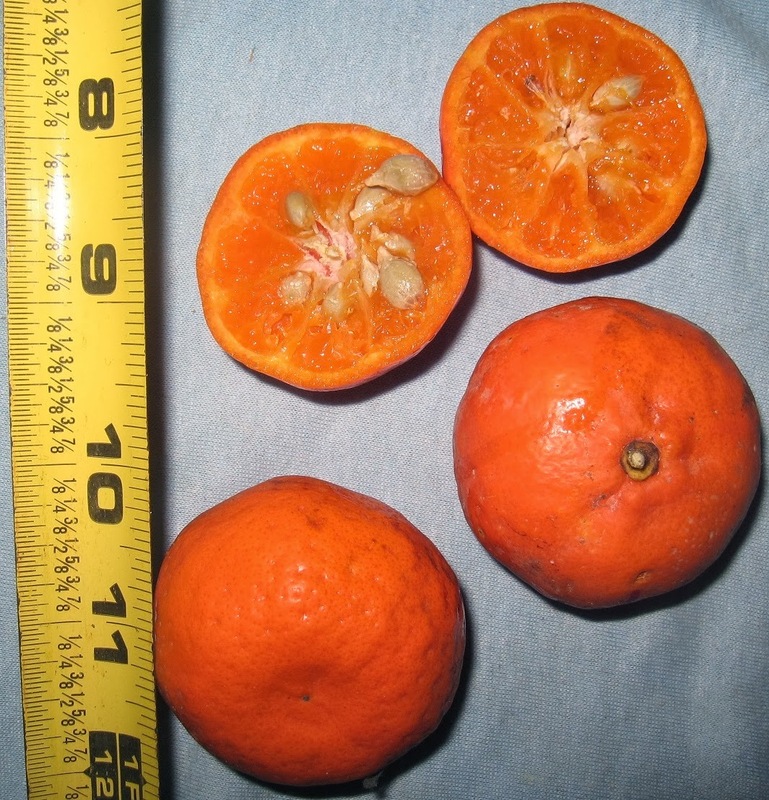 It was named Razzlequat in the Oregon Exotics Catalog, which suggests one parent is a kumquat, but the catalog's author identified it as 'Eremocitrus x C. Limona Meyer'. 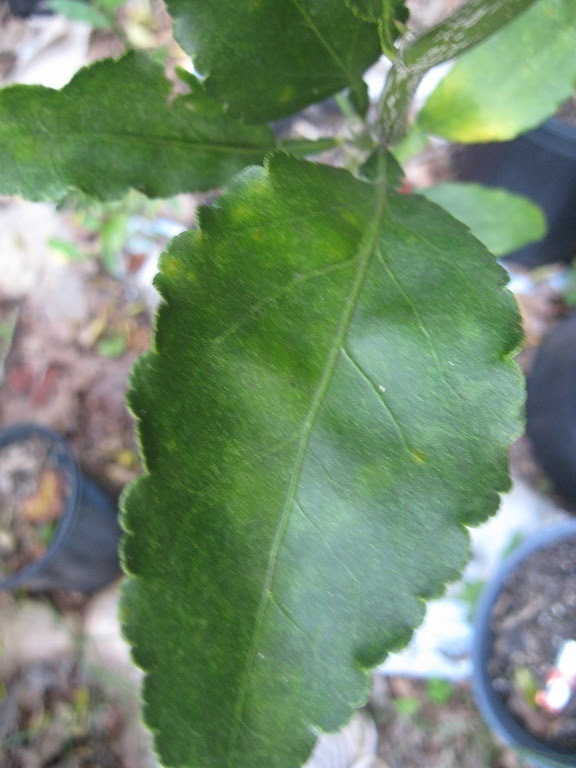 Mislabeling continued in 'Hardy Citrus of the Southeast' Kumquat x Eremocitrus glauca p.26. It now appears that it is a cross with a grapefruit. Hardiness testing in Savannah Georgia showed it to be one of the hardiest varieties tested. Surviving 13°F, -11°C with poor acclimation better than Yuzu and Ichang papeda. 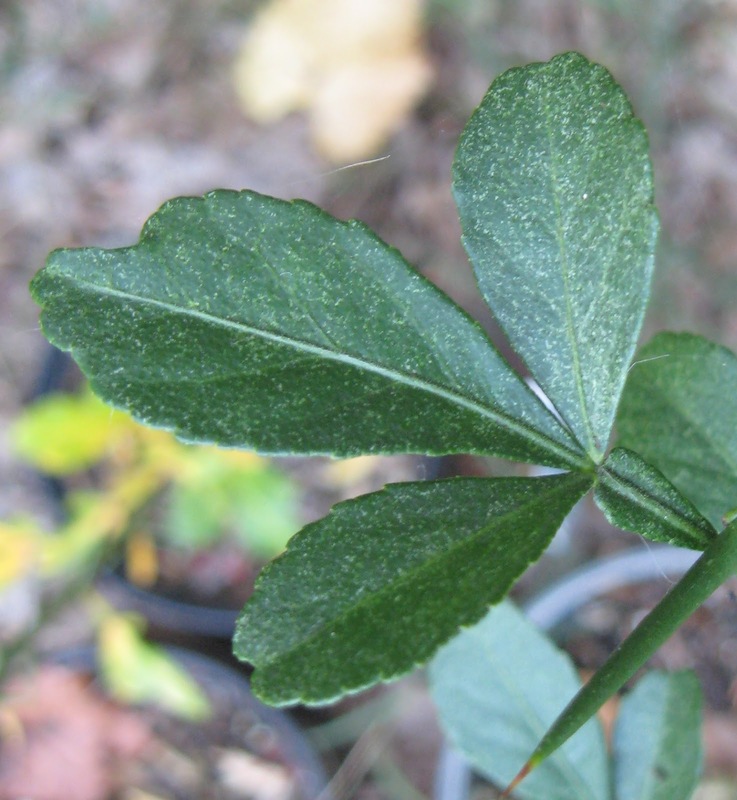 Since Yuzu is considered to be hardy to 10°F, -12°C it should survive lower temperatures. Perhaps it maintains dormancy longer than Yuzu and Ichang papeda when exposed to warmer weather. Plant is very thorny. Flavor is sour. There are many cold hardy citrus varieties with confusing names and origins. This is an attempt to clear up a few of them. This blog is a work in progress, updated as more information or pictures are found.